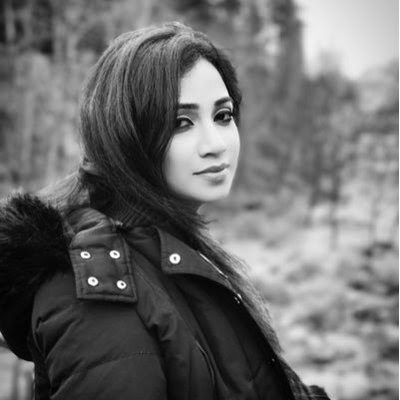 Singer #Shreya_Ghoshal, the voice behind many melodious songs, is all set to release her first single titled "Dhadkane Azad Hain". This is for the first time that Shreya has sung, produced and has been featured in a music video. "I am too excited to be doing these new things this year apart from all my film work and concerts. To be able to make music without the boundaries of a film always gives me so much joy, but this time I took it on me to produce the whole thing myself so my talented friends came together, and I got the dream team to work with on this single," the singer said in a statement. "Deepak Pandit composed such a beautiful tune, on the extraordinary lyrics by Manoj Muntashir. Director and DOP (Director of Photography) Parasher Baruah shot this video in exactly the way I had imagined," she added. The single will release on July 10 on her official YouTube channel. It has been filmed in the locations of Manali, Himachal Pradesh.